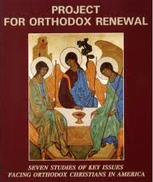 4th Annual Meeting of Orthodox Christian Laity, October 25-27, 1991. Baltimore, Maryland. 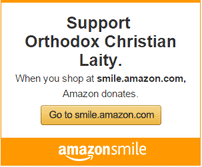 Workshop on topics included in Project for Orthodox Renewal: Administration and Accountability; Faith Language and Culture; Mission and Outreach; Orthodox Unity; Selection of the Hierarchy; Spiritual Renewal and Women’s Role in the Church. Keynote Speaker was Rev. Dr. Anthony Ugolnik. His topic was “Orthodoxy: A New World Vision.” Dr. Daniel Shahas spoke on the “Theological Foundation of the Role of the Laity in the Church.” Reception hosted at the Walter Gallery. Senator Sarbanes and Rep Helen Delich Bentley, 2nd Congressional District Maryland, attended.